Welcome to Three Times A Charm. I love to introduce readers to people involved in children’s publishing. 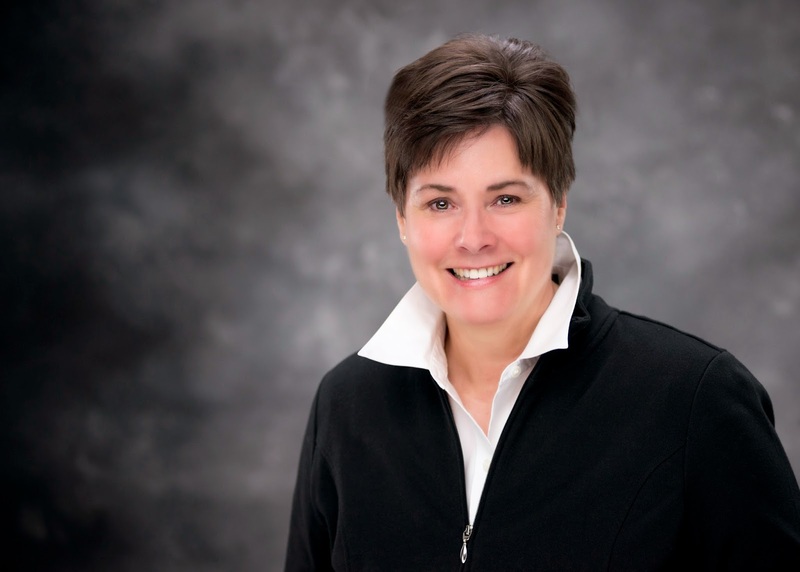 Today we have Kathleen Andrews Davis with us. She’s going to share a little about her books. But first tell us a little about yourself. ​During my long and varied working life I did business writing including everything from press releases to policy and procedure manuals. I served as managing editor of an in-house newspaper where I enjoyed every aspect of production including writing, photography, and even dummy layout. From there, I moved into marketing pieces and business plans. My favorite venture, however, was fourteen years in the Bed & Breakfast industry. This was my passion. When we left our lovely old Victorian it left a hole in my heart, and I found myself with an indistinguishable yearning to be more and do more. The little wheels in my head started turning and it dawned on me, if I liked commercial writing, why won’t I like creative writing? Aw, that’s really sweet. I love that you have your priorities well ordered. Life is so much better when we focus on the people, not the tasks. Now, tell us more about your books. My goal is to provide wholesome, entertaining, and educational reading for young people. If they learn something new along the way, that's an added bonus. 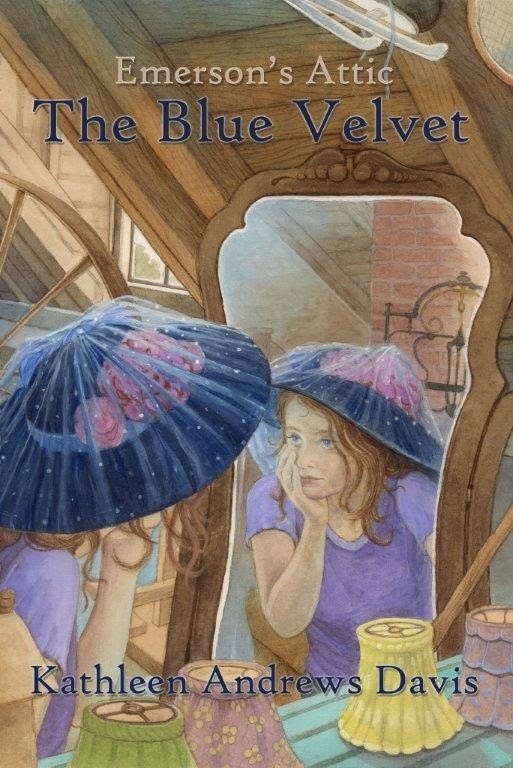 Emerson's Attic, The Blue Velvet, introduces 14-year-old Emerson Amelia McBride, the heroine of this series. Emerson is a normal American Teenager. Her life is just like any other 14-year-old’s until she is suddenly jerked back in time. Where is she and why is she here? Frightened and alone Emerson has to adjust to a new life in a new country and time. How will she cope without modern electronics? Adventure and intrigue force Emerson to prove her maturity and bravery as she solves an old family mystery. Come along with Emerson as her beloved grandfather guides her on her journey. A study guide is available for teachers to use in conjunction with The Blue Velvet. 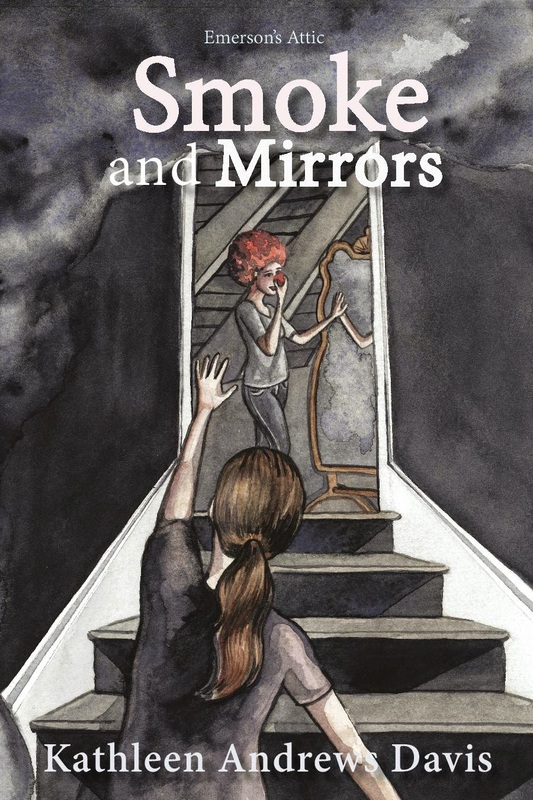 In the second book, Smoke and Mirrors, Emerson is joined by her best friend, Sarah, for a rollicking ride on a turn-of-the-century circus train as it heads west across the United States. Exotic animals, exotic people, and danger are combined with recognizing and appreciating the differences in people and social issues. Authors must be stubbornly determined and organized when marketing. Meeting and engaging with other authors is the best part of marketing. Face-to-face conversation. I love learning from readers. Group discussion after they have read the book. "Kids say the darnest things!" It's incredibly fun to hear how they interpret what they read. Presentation in costume as a character from The Blue Velvet for special events. Speaking to grandmothers, mothers and daughters is so much fun because they all have different perspectives and great questions. Hi Kathleen. Your books sound like fun. Teaching a little history along with adventure. It's fun to dress up like the characters and let the kids see what clothes were long ago. A great interview, ladies. Good luck with your books. Thanks for visiting, Bev. 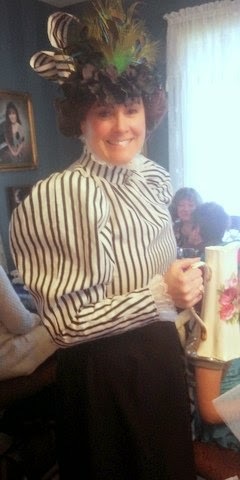 I ADORE Kathleen's tea party photo.